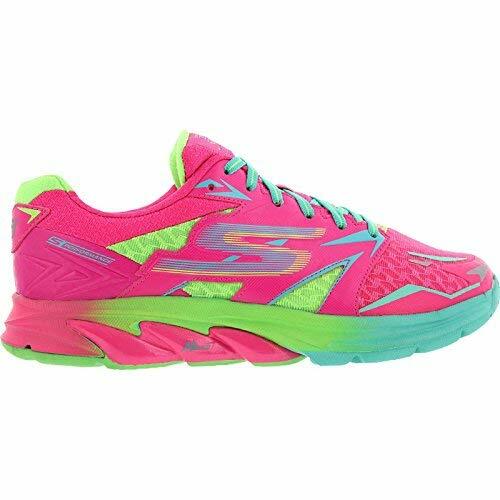 Skechers marketing pitch: The sixth generation of the GoRun Ride has additional impact protection and response. Upper: Engineered knit mesh, fused urethane, synthetic leather. Midsole: Single-density EVA foam, 4 mm heel drop. Outsole: Circular hard carbon rubber pods in a localized placement. Widths available: Single, D – regular (reviewed). If you were a fan of Skechers’ older ‘M-Strike’ midsole, then you’ll be happy in the GoRun Ride 6. Be mindful, however. By carrying over the legacy midsole design, the Ride 6 delivers a cushioned, yet flatter ride quality when compared to newer models such as the GoRun 5 and GoMeb Razor. Hmm. This is interesting. 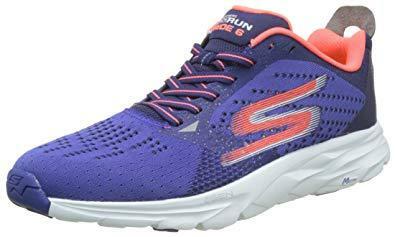 The Skechers GoRun Ride 6 uses the same midsole as the GoRun Ride 5, which means that it is now the only Skechers performance running shoe to feature the legacy ‘M-Strike’ rocker midsole, with its rubber-tipped foam pillars doubling as the outsole. The rest of the performance line, be it the recently launched GoRun 5 and the GoMeb Razor – have transitioned to different midsoles. As a result, there’s a significant difference in ride quality between the GoRun Ride 6 and the rest. 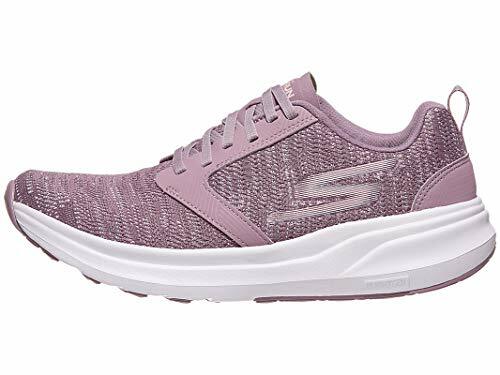 Although Skechers has updated the Ride 6 midsole with its new 5GEN EVA foam, it’s done so in an injection-molded format. This delivers a flatter and less resilient ride quality than the newer models. As a stand-alone shoe, there isn’t much wrong with the Ride 6. Its sub-$100 retail price and knit upper still makes it great value for money, and its neutral cushioned ride has plenty of padding. The bright side is that those missing the ‘M-Strike’ midsole design have the Ride 6 to look to. The rocker-shaped midsole won its share of followers in the early years of Skechers’ performance assortment, so the Ride 6’s older design is a solace to some. The lower part of the Ride 6 might not have changed, but the upper is brand new. 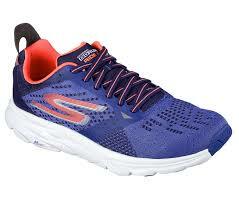 Like the rest of flock, Skechers uses an engineered mesh upper (aka the GoKnit) for the latest version of the Ride 6. The upper has a clean profile with minimal layering, at least in the frontal areas of the shoe. There’s no external layering over the toe-box, and the latter maintains its shape through an internal toe-stiffener. The midfoot has a band of hotmelt urethane placed vertically which then goes to join the lacing panel made of the same material. The flat laces pass through rectangular-shaped eyelets and over a padded tongue which has a familiar design and construction. In relative terms, the heel has a lot of material. To begin with, Skechers’ ‘Quickfit’ is now in the shape of an external pull-tab. It is attached to a large piece of synthetic which wraps around the back. The heel collar is padded with an internal counter, and the lining is the same textile used on most Skechers models. Reflectivity is provided by a few bits located over the heel and midfoot. 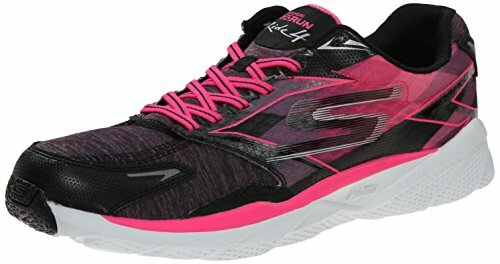 There are numerous structural changes over the GoRun Ride 5’s upper. The eyelet holes are now rectangular shaped versus the round ones of the Ride 5. This update allows for a smoother movement of laces compared to the Ride 5. Also, the Ride 6 has a cleaner looking upper as it gets rid of most of the forefoot overlays. This, when combined with the new knit mesh, creates more sideways forefoot room and raises the toe-box height. The Ride 6 is also more breathable because of the larger vents knitted into the mesh. The last year’s GoRun Ride 5 did not have the ugly looking Quickfit tab. Instead, the heel collar had a hole which performed as a hook for your fingers. This year, the collar is made ‘whole’ instead of ‘hole,’ and this causes the foot’s position to move forward towards the toe area. As expected, the GoRun Ride 6 feels slightly shorter in size when compared with the GoRun Ride 5. The midsole uses a single-density piece of EVA foam. 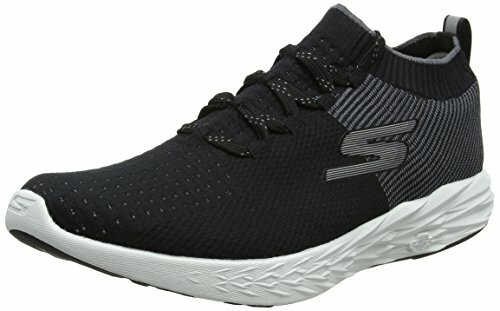 Though Skechers uses 5GEN, its newer foam variant, it is visually impossible to tell the difference between it and the last year’s Resalyte midsole. The Ride 6’s 4 mm drop midsole is identical to the Ride 5’s and uses the rocker design with its foam pillars protruding underneath. The only difference is that the Ride 6 does not use midsole paint on the sides. 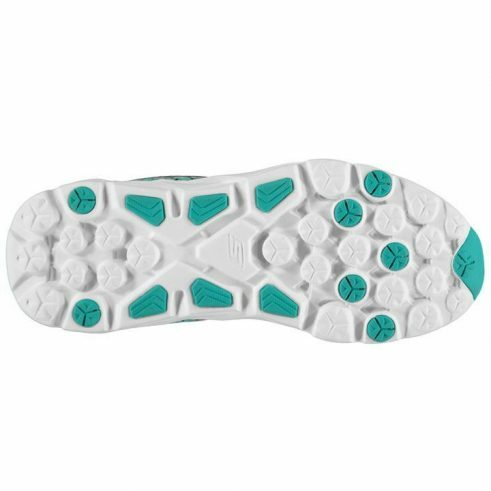 What passes off as the outsole is a colony of circular rubber pieces mounted on midsole pods. The placement of rubber isn’t where maximum wear and tear happens, nor do they follow a movement path. Instead, the outsole design prioritizes visual symmetry over function. 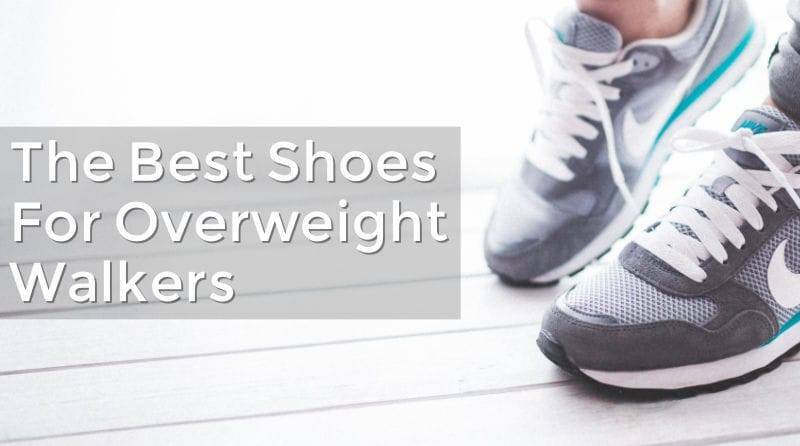 There’s an upside to the minimal use of rubber, and that’s the shoe weight. 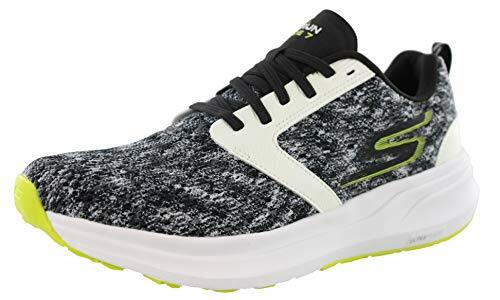 The Skechers GoRun Ride 6 is a measly 235 grams/8.3-ounces, which is very little weight in exchange for a decent stack of cushioning. The Ride 6 can be worn in two ways – with and without the insole. The removable insole is a thin sheet of compression molded foam, and below that is another layer of foam. Unlike most running shoes with foam lasting, the Ride 6’s underlayer is designed just like an insole. There’s an identically colored fabric lining on top, with ‘Skechers Performance’ printed and all. The upper will hold up okay, but there’s a potential durability issue with a couple of other components. The removable insole is made of low-quality EVA foam, and it tends to go flat after 100 miles. The midsole doesn’t fare any better. The pod-like structures on the outsole tend to shred quickly in specific wear and tear areas. The newer outsole design used on the GoRun 5 and Razor perform better on durability. The foam is standard EVA, so expect a gradual flattening of cushioning after a couple of hundred miles. The Ride 6 fits true, but if you want the same sizing margin as the Ride 5, then you need to buy half a size larger. That’s because the new heel design pushes the foot slightly forward. Barring this change, the Ride 6 offers ample vertical and sideways room. 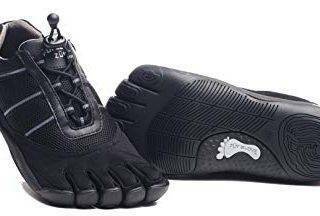 The internal toe-bumper without layers outside offers spacious accommodation for your toes. Over the forefoot, the generously vented GoKnit mesh provides enough foot-splay room and ventilation. No complaints with the heel and tongue fit, either. The padded collar grips the foot well, though our opinion is that the whole ‘Quickfit’ feature is overdone. The huge synthetic pull tab is a gratuitous design add which looks aesthetically displeasing. You have to be wary of the GoRun Ride 6’s removable insole set-up. The interiors are designed so that you can wear the Ride 6 with or without the insole. But opting for either choice comes with issues of its own. If you wear the shoe without the insole, then there’s excess room left over. 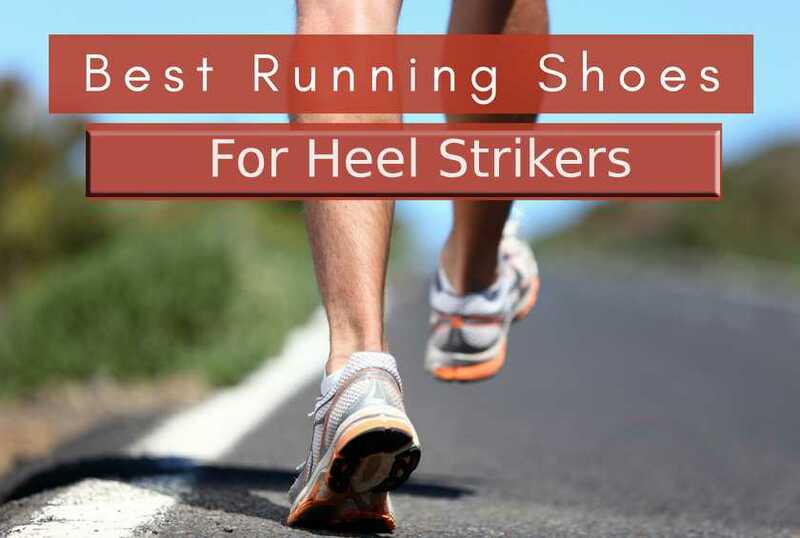 So much so that the heel starts slipping, and the forefoot tends to gather when laced tight. And while there are no fit issues when you use the provided insoles, one needs to be careful about the insole’s placement. We recommend that you wear the GRR 6 with the supplied insole, but with a caveat. The insole edges are thin and high, so they might ride up the insides and can potentially prove to be an irritant. 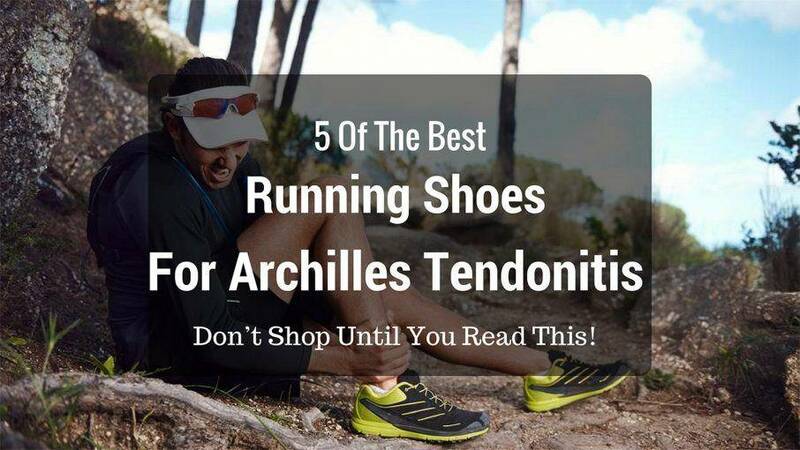 So make sure the insole placement is perfect before you take the Ride 6 for a run. Skechers should drop this insole ‘feature,’ as the potential drawbacks outweigh the benefits. There’s not much to write about the GRR 6’s ride quality. The midsole provides cushioning, but without much responsiveness. Though there’s softness beneath, the ride feels flat. Much of this can be attributed to the injection-molded construction which feels less resilient than the newer compression-molded midsoles used on the GoRun 5 and GoMeb Razor. There are exceptions to how injection molded parts can feel, so this isn’t a sweeping generalization. 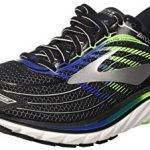 For example, the GoRun Ultra uses injection molding, and the ride feels noticeably responsive. We prefer the cushioning quality of the GoRun 5. It isn’t necessarily softer than the Ride 6 but provides better responsiveness and feedback. Transitions also feel slower on the Ride 6; the foam pillar based midsole doesn’t feel as quick as the flatter profile of the GoRun 5. And the outsole grip could also be better. Despite some of the shortcomings of the GoRun Ride 6’s midsole, the shoe is comfortable enough for longer runs – as long as you aren’t chasing pace records. Remember that the GRR6 weighs a mere 235 grams, so it delivers a lightweight running experience. You can also use the GoRun Ride 6 on treadmills but stay out of synthetic tracks or light trails. There simply isn’t enough grip to make track workouts fun, and the build isn’t durable enough for unpaved surfaces. The Ride 6 is best worn with the supplied insole. Without the latter, there’s nearly nothing between your feet and the midsole – this turns the ride quality remarkably flat in character. The lasting below the insole has a layer of blown foam, but it’s so thin that it’s good as not having any. There’s one fact you can’t deny about the GRR6. A sub-$100 price makes it great value for money, considering that you get a knit mesh upper and a cushioned ride in lieu. Skechers is the only brand we know of which provides these materials at this price-point. It’s also very lightweight, with the upper being comfortable and well ventilated. There’s enough forefoot and toe-box room, and the lack of seams results in a smooth interior. 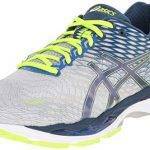 Though the midsole material doesn’t feel special in any way, it contains enough cushioning for runs of most mileages. What’s missing though, is an engaging ride experience. 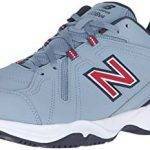 There are also a few other shortcomings, such as the tricky placement of the removable insole and the lack of outsole grip and durability. The GoRun Ride 6 is a reminder of what the Skechers performance line used to be once. The rocker-shaped ‘M-Strike’ midsole is similar to what was used in earlier versions of the GoRun series, so the ride quality will feel familiar to runners who have owned a pair of older GoRuns. Notwithstanding the carry-over midsole, the Ride 6 is a lightweight, cushioned, and value-for-money shoe. The knit upper is smooth, breathable, and has ample interior room. The fit changes slightly over the GoRun 5; while the sideways forefoot room and toe-box height increases, the new heel design results in a slightly shorter sizing. There are plenty of other updates on the upper, such as the new GoKnit mesh (the GRR 5 used regular mesh) and an aesthetic profile which is much sleeker than before. The retail price is $5.00 lower than the GRR5, and both shoes weight the same. What remains to be seen is how Skechers manages its differentiation problem going forward. We mentioned in our GoRun 5 review about how the latter is very close to the GoMeb Razor, considering that both are based on identical midsole platforms. Making a recommended rotation of three Skechers shoe could have been tricky if not for the recently introduced GoRun Ultra Road 2. 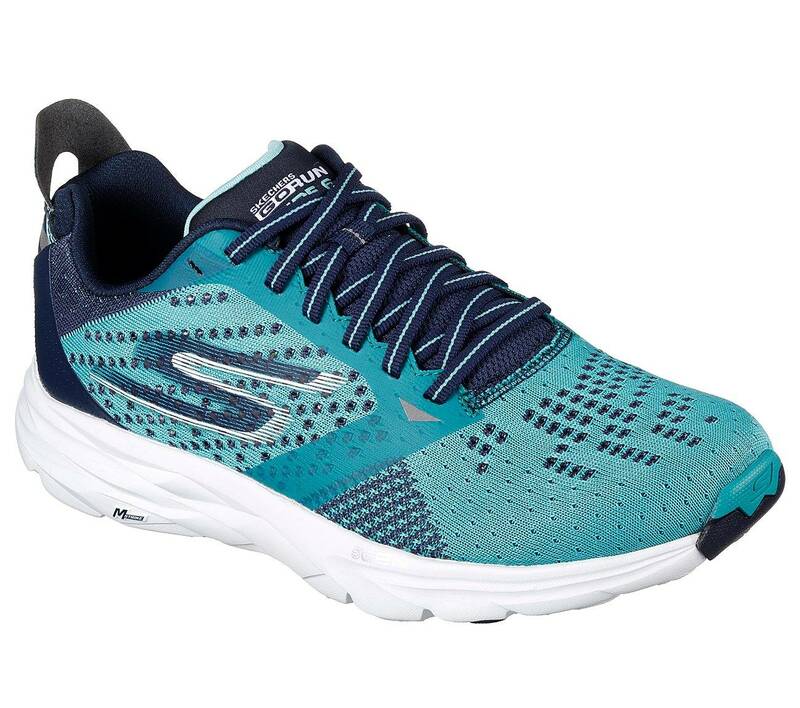 By far, the Ultra Road 2 packs the most cushioning of all Skechers running shoes, hence creating a differentiated rotational assortment of the Ultra, the Ride 6, and the GoMeb Speed 4. With the rotation approach mentioned above, you can use the Ride 6 as a cushioned daily trainer while delegating fast runs to the GoMeb Speed 4. For those long and easy runs, the brand new GoRun Ultra Road 2 comes in handy. Within the recommended 3-shoe non-Skechers rotation, it’s worth looking at the New Balance Boracay V3, a 4 mm drop shoe with more cushioning over the GRR6. On the other hand, the 4 mm heel drop Saucony Type A will work as a fast, race-day shoe. 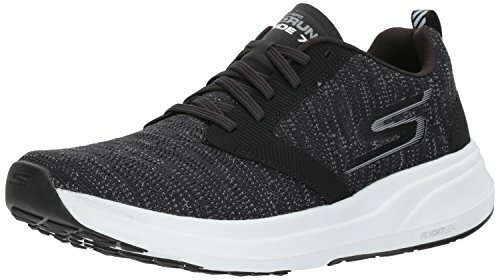 Despite Skechers positioning its GoRun 5 as a training (and faster) shoe, the GR 5 is the Ride 6’s closest living relative. The knit upper and 4 mm drop feels all too familiar across both models. Among the rest, the new Asics Roadhawk FF is a lightweight (sub 9-ounce) cushioned trainer which strays from the tried-and-tested Gel and foam formula. Instead, the midsole is made of Flytefoam stack with a 8 mm offset. The New Balance Boracay V3 is somewhat similar to the Roadhawk and provides more cushioning than the GRR6. The Brooks Launch 4 is a firmer neutral trainer; the Hoka Hupana and Saucony Kinvara 8 are moderately cushioned with a low heel drop. You might have noticed that this recommended list is nearly identical to what we prescribed in our GoRun 5 review. There’s a good reason for doing so. 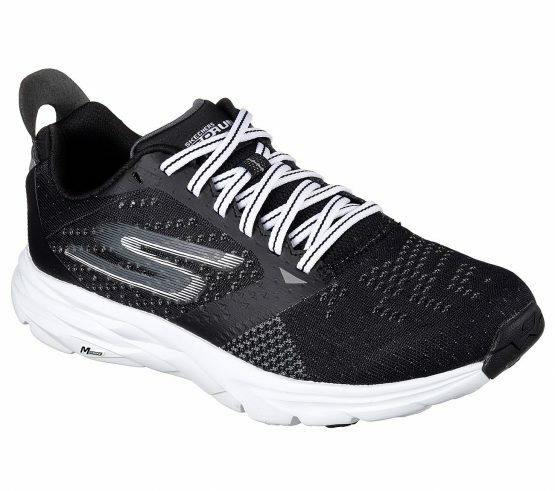 Regardless of how Skechers pitches the Ride 6, the shoe isn’t of the same category as a regular neutral trainer. The Ride 6 has a low heel drop of 4 mm, is very lightweight, and does not have as much as cushioning as you’d find on, say, a Pegasus or a Ghost.